Students at the Dulwich College International schools will have numerous opportunities in the coming months to collaborate and compete at a variety of network-wide events. From student film to sustainability, the spring schedule highlights the strength of our family of schools, allowing our students to work together, forge lifelong relationships and share academic and co-curricular experiences. The annual Eco Explorer Camp is an opportunity for students to get involved in protecting and preserving the planet in practical and relevant ways. Hosted by Dulwich College Shanghai Puxi, it is a hands-on weekend camping experience packed with innovative workshops and student-led learning, with a focus on student leadership, environmental education and community service. 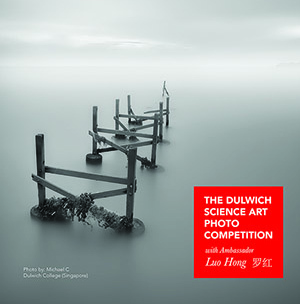 The Dulwich College International science and art departments have invited all students, alumni, faculty and parents to submit photos for this year’s Science Art Photo Competition. We also welcome world acclaimed photographer Luo Hong as this year’s ambassador to the competition – winning photos will be exhibited at the Luo Hong Art Museum in Beijing. The competition runs from 1-30 April. The D’Oscars is Dulwich College Shanghai Pudong’s annual Junior School film festival. It is designed to capture students’ imagination through literacy, storytelling and film – all set in an environment of collaboration. Over 400 students in the Dulwich College International network participate, producing short films and animations to enter into the three-day competition. 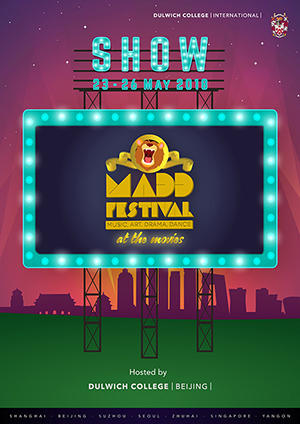 The MADD (Music, Art, Dance, Drama) festival is a network-wide Junior School event that involves all aspects of the arts, including music, art, drama, dance and film. With Dulwich College Beijing hosting, the theme for the festival this year is: MADD at the Movies! It is a four-day festival that connects our students internationally and promises to enrich and challenge their musical, artistic and performance skills through rehearsals, workshops and concerts. The event culminates in a combined showcase and performance involving all disciplines.